This is not a building you would see too often! This is the Piano and Violin House located in Huainan, China. 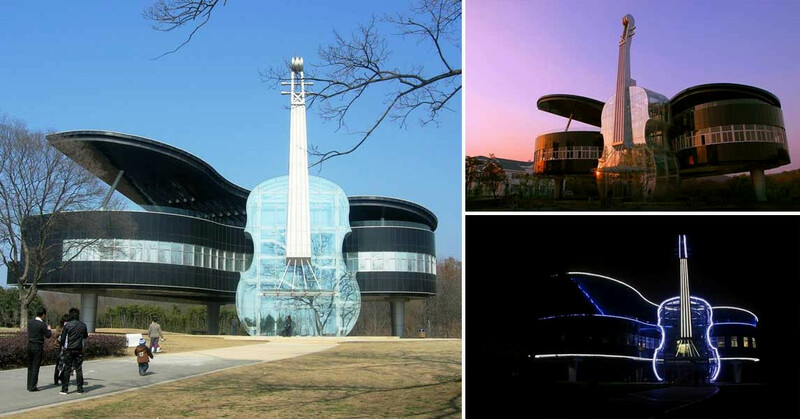 The house is in the shape of a giant piano, and beside it is a giant violin that is made up of almost entirely of glass. The origins of this house and why it was built remain unknown, but it clear the designer was clearer a music lover. While this house is unusual, it is nonetheless quite beautiful and makes it quite the tourist attraction.